Following Germany’s win at the UEFA Euro U-21 tournament in Poland and Deutschland’s B+ squad taking home the 2017 Confederations Cup, the future certainly looks bright for Joachim Low’s team. Youngsters and rising stars were on fire at both tournaments and were able to make a claim for the full national team at the tournament next year. Of course you have players like Joshua Kimmich, Jonas Hector, Julian Draxler and Shkodran Mustafi who are certain to be there but many despite their heroics this year are going to need more time to develop. So with that in mind, perhaps 2020 is when a lot of these players will be ready to truly shine for their nation. This is a prediction of Germany’s Euro 2020 squad following the nation’s two back-to-back big tournament wins this year. Explanation: Some goalkeepers tend to get better with age and Germany will be hoping that holds true for Manuel Neuer who will go into the 2020 tournament being the age of 34. If he’s anything like Gigi Buffon, his career is just beginning and the best of days could still be ahead of him. Euro 2020 may be the last time Manuel Neuer is in a Germany shirt however as by the time the next World Cup would roll around he’d then be 36, perhaps just a bit too old to keep the younger Marc-Andre ter Stegen out of the side. Explanation: He still seems so young so it may surprise you to hear that Marc-Andre ter Stegen is already 25 years old. A brilliant goalkeeper still on the rise and still looking to fully develop his game, ter Stegen has had an excellent past season with FC Barcelona and was fantastic at the 2017 Confederations Cup. If anyone is going to knock Neuer off the number one spot in goal it will certainly be the Barcelona man. Explanation: Germany have a plethora of good goalkeepers but the most likely to finish in third in the rankings and just narrowly squeak onto the team is Bernd Leno. The Bayer Leverkusen man is an excellent goalkeeper and is rapidly turning into one of the Bundesliga’s best. Leno is the same age as ter Stegen and was given a brief chance to show his talent at this year’s Confederations Cup. Being a Barcelona man, ter Stegen is always likely to be ahead of him in the pecking order but Bernd Leno should have no problem making the squad. Germany’s back-four could remain unchanged from the Euro 2016 tournament in France. This kind of stability will serve them well as should the enhanced experience of Hummels and Boateng at the back. Kimmich will likely have developed into one of the world’s very best players at this point as Jonas Hector will always remain a consistent option at left-back. Many spots will be up for grabs on the substitutes bench however and many on the 2017 Confederations Squad are likely to fill those spots. Explanation: The future Philipp Lahm and Bastian Schweinsteiger all wrapped up into one player, Joshua Kimmich is one of the best young footballers in world football. The German defender began his impress this season playing primarily as a central midfielder. His versatility could be immense for Germany in 2020, jut as it was in 2017 at the Confederations Cup. ive rise last season under Pep Guardiola but took off to new heights under Carlo Ancelotti as Kimmich filled in for an injured Boateng at centre defense despite being known before that point as a defensive midfielder. Then Kimmich rocked Euro 2016 at right back for Germany, nailing down a starting spot ahead of Benedikt Howedes and helping his nation make it to the semi finals. Since that tournament he’s continued to retain his place in the XI and recently assisted Toni Kroos’ goal in World Cup Qualifying against the Czech Republic. Germany has been looking for a Phillipp Lahm replacement ever since he retired from international football after winning the FIFA World Cup in 2014 and Joshua Kimmich certainly will be that man. Not even a forward thinking player, the German already has an outrageous tally of 5 goals in 7 appearances for his club so far this season between the Champions League and Bundesliga as Bayern sit well-positioned to win both. Joshua Kimmich is an absolutely brilliant footballer and has the potential to be an all-time Bayern great. Explanation: The highly experienced Mats Hummels has won just about everything there is to win in football and will always be a necessary component to any near-future German side assembled. His transition from Dortmund to Bayern was seamless but he wasn’t able to elevate his game to a further level. But with more experience under his belt playing in the Bayern side, by 2020 he could be even better. It will be very tough for someone like Mustafi or Rudiger to knock him out of the side. 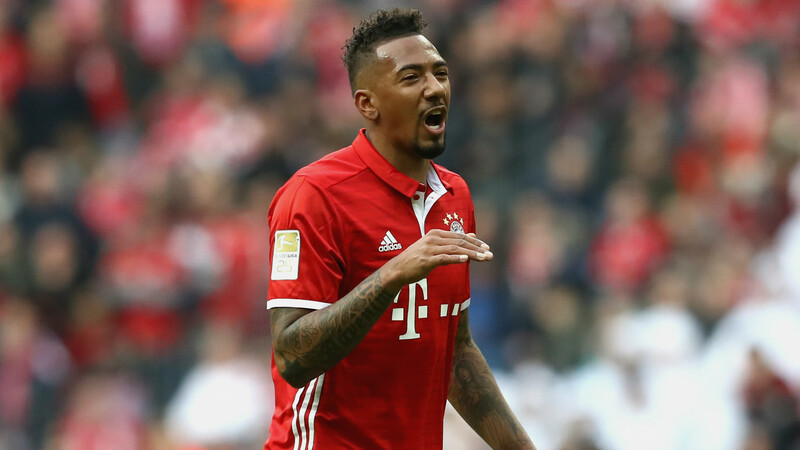 Explanation: Similarly to Mats Hummels, by 2020, Bayern Munich’s Jerome Boateng will only be more experienced and more up to the task of winning his nation the title. He’s struggled with injuries since Euro 2016 so hopefully he get them all sorted out before the next two big tournaments begin as he will be an essential piece to the puzzle in both, regardless of the quality of the players who could replace him. Explanation: Capable of playing left-back or central midfield, Hector should be expected to keep his place in the Germany 11 unless a new stud really bursts onto the scene and truly establishes themselves. It was as soon as the World Cup came to an end with Low’s men lifting the trophy, that Hector was instated into the team and he has never let them down sense, playing excellently well at Euro 2016 and the 2017 Confederations Cup. So even despite being the age of 30, Jonas Hector should still be able to hold down his place in the team by 2020. Explanation: He’s slowly established himself in Low’s team since deservedly making Low’s World Cup 2014 squad and could be set to play an even more important role at both the next World Cup and European Championship. Mustafi was excellent at the Confederations Cup and was one of the key men behind the team lifting the trophy. After three more years at Arsenal, he could be able to establish himself as one of the world’s best in his position. Explanation: The potentially Chelsea-bound defender certainly has a bright future ahead of himself and by the time Euro 2020 rolls around could be one of the world’s best in his position. The more likely scenario is perhaps that he’ll be a very good defender that just still isn’t ready to break into the Germany 11, but Rudiger certainly has the potential. If Jonathan Tah or Matthias Ginter want to get into Low’s squad, they’ll first have to knock Rudiger off of what should be his rightful place. Explanation: It has been a wonderful season for Benjamin Henrichs. Right back was always a position that Bayer Leverkusen always needed to strengthen and he completely made the position his own in 2016-17, taking over from veteran defender Roberto Hilbert once and for all. The 20-year old featured in 29 matches this season, assisting two goals and leading the way in both tackles and interceptions at the club. Henrichs was so important to Leverkusen this season that he started to become one of the first names on the team sheet towards the end of the campaign and earned himself a call-up to Low’s 2017 Confederations Cup squad, where he assisted two goals and featured fairly prominently in the tournament. Henrichs now has a very bright future ahead of himself and has the best shot at knocking Jonas Hector out of the XI. during the Premier League match between West Bromwich Albion and Manchester City at The Hawthorns on October 29, 2016 in West Bromwich, England. Young stars like Leon Goretzka and Julian Brandt impressed at the Confederations Cup in Russia this summer but they’ll do very well to knock out the established players already filling their respective positions in the side. Toni Kroos is likely to remain a starter and may find his midfield partner in the form of the always injured Ilkay Gundogan, who will hope to be fit for the big tournament for once. Dortmund’s defensive pass master Julian Weigl is another possible starter while a then 31-year old Mesut Ozil misses out on the side altogether. Explanation: He’s still one of the best midfielders in the world at the moment and likely will continue that trend three years from now. 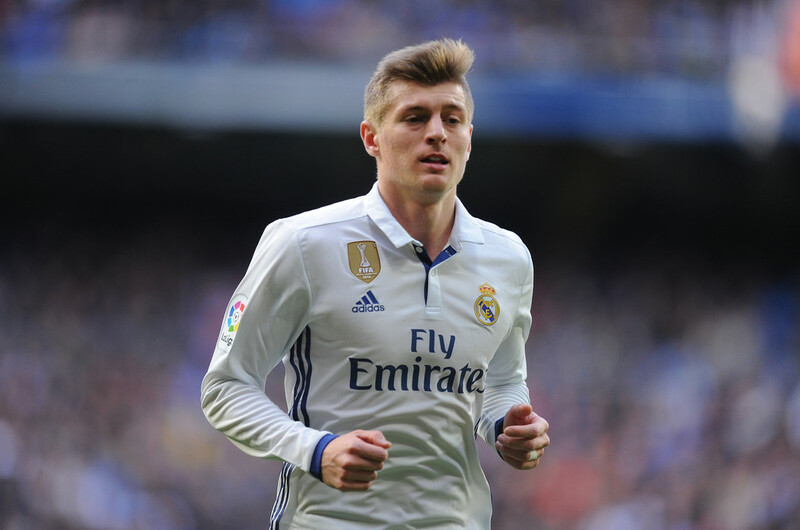 A playmaking pass-master of the highest class, Toni Kroos really is one of the best midfielders Germany have ever had. Despite the talents of players like Gundogan, Goretzka and Weigl, they all have virtually no shot at knocking the German great out of the starting lineup. Explanation: As long as he’s fit, Ilkay Gundogan should be an important player for Germany at Euro 2020 and the upcoming World Cup. He should have already been a starter at the previous incarnations of the two tournaments but both times (like Marco Reus) had to sit out due to injury. He’s fantastic in possession of the ball and as long as he’s in the centre of the pitch he can fill any role that Low asks of him, from the deep-lying play-maker to the number ten. As an incredibly intelligent footballer, who has amazing tactical awareness and comes alive in the big games he should be able to thrive in the upcoming years for Duetschland. Explanation: One of Dortmund’s star players over the past two years, Julian Weigl has really made the defensive midfield spot his own since bursting onto the scene in 2015-16. He wasn’t able to play a part in the Confederations Cup due to injury but his style of play is just so industrious, effortless and flawless that he’ll have no problem making any future German squad. Still only 21, Weigl is already thought of to be one of the best in the world at his position and could soon be a world beater. Explanation: One can only hope that Mario Gotze will be fit enough for the next two big tournaments for Germany. He hasn’t been able to take his career to new heights quite like anyone expected him to, but on his day Gotze still has the potential to be one of the world’s best. He’s been around for ages and has loads of positive experiences but in the present day is still only 25! So next year and two years after that, Gotze should have an important role to play for Germany whether it’s as a number 9, 10, or even deeper in central midfield. Explanation: One of the stars of the 2017 Confederations Cup, Leon Goretzka looks prepared to break into the Germany XI sometime very soon. Despite being a central midfielder, Goretzka finished the tournament with 3 goals, level with Werner and Stindl for the most in the competition. With pace, youthful vibrancy and an eye for goal, Goretzka certainly has a lot to offer any team and should be an important part of Germany’s Euro 2020 bid. Explanation: He’ll have plenty of competition in the form of Leroy Sane, Serge Gnabry and perhaps even Karim Bellarrabi, but Julian Brandt might just be able to make the right wing spot his own. He’s developed and refined his game over the years at Bayer Leverkusen and looked fantastic at the 2017 Confederations Cup. His wing play is incredibly impressive and few Bundesliga wingers have a better delivery into the box. Julian Brandt is becoming better by the season and by the age of 24 should be an important component to Germany’s lineup. Explanation: The star and Golden Ball winner of the 2017 Confederations Cup, Julian Draxler has flourished in Joachim Low’s side as a result of all the injury troubles to Marco Reus. By 2020, he could be just as good as Reus is now and as a result might be able to retain his place. A move to Arsenal seemed to be on the cards for a while but the wing wizard finally decided on PSG this past January and that should be the perfect move to take his game to new heights. Still only 23, Julian Draxler really does look to be filling the incredibly high expectations that were thrust upon him at a young age and might be essential to Germany in the upcoming years. Explanation: Capable of filling several different roles from central midfield to left back, Emre Can will always be a useful player for Germany to have in their ranks. He’s a favourite of Jurgen Klopp at Liverpool and being the industrious, hard-working midfielder he is, could soon become a favourite of Joachim Low as well. Sebastian Rudy might have been the preferred defensive midfielder at the Confederations Cup but Emre Can is the younger, more influential option and should have no problem making the squad in 2020. Explanation: Now that he’s moved on to the bigger club in Borussia Dortmund, Mahmoud Dahoud could be set to kick his career into high gear. He’s been one of Monchengladbach’s best players these past few years and now could be set to dominate Dortmund’s midfield alongside the impressive Julian Weigl. By 2020 he could be on top of his game and ready to shine at Euro 2020. Timo Werner will look to fill the boots at centre forward, a position that has been left occasionally unoccupied since Miroslav Klose’s retirement. Leroy Sane, Marco Reus and Thomas Muller could all take turns playing centre forward and could all also be deployed down the wing or in the case of Muller, as a number ten as well. Explanation: Timo Werner is one of the best forwards in the Bundesliga. A complete striker, capable of scoring and assisting all kinds of goals, Werner should have no problem making the centre forward role his own in the upcoming years. 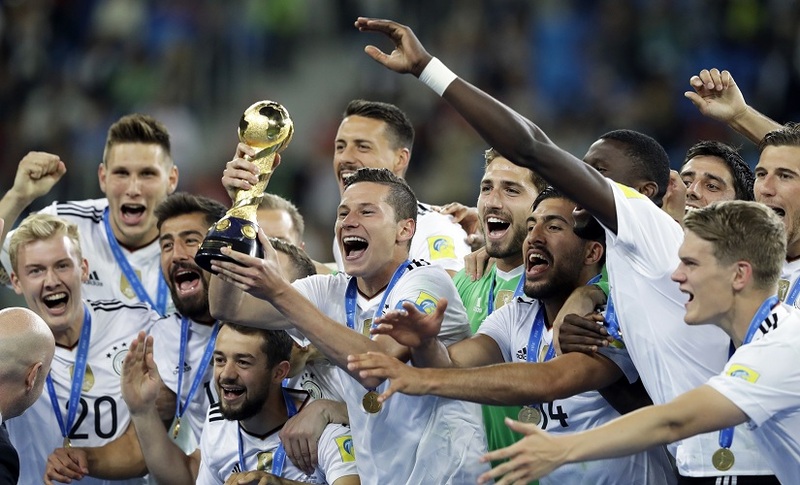 It appeared that Sandro Wagner might even have been the preferred option at this summer’s Confederations Cup but Timo Werner easily stole the position away and ended up winning the Golden Boot. He scored 21 goals in 31 Bundesliga matches this season at the age of just 20/21, so who knows what he could be capable of in the future. Explanation: He burst onto the scene as a 19-year old and now under the influence of Pep Guardiola, Leroy Sane has now firmly established himself, so much so that he didn’t even need to be included in Low’s Confederations Cup squad. He impressed in both the Champions League and Premier League in 2016-17 and is being tipped to become the PFA Young Player of the Year for 2017-18. Much is expected of Sane, but being able to play anywhere up front and having the lightning-quick pace that he does, the Man City younger looks set to become a world star. Explanation: He’s one of Germany’s greatest ever players. Although Muller’s career as suddenly started to decline since the dawn of Euro 2016, there’s no reason why he still wouldn’t be an important piece to the puzzle for Germany three years from now. Only five Bundesliga goals in 2016-17 compared to 20 from the season before was not what we have come to expect of Muller and so although he is always so influential for Germany, he may have a more difficult time nailing down a spot in the XI with the embarrassment of riches in young talent that the nation has. Explanation: Those who don’t follow the German Bundesliga closely might be remissed to believe that this has been another season in which Marco Reus has not reached his true best thanks to more injury troubles. In actuality, despite spending so much time out injured this season, he’s actually had one of the very best seasons of his entire career. Every single time he played, he was the difference between Dortmund winning and losing and came up so massively in all of their most important games this season. He scored a hat-trick against Warsaw after returning from injury in that historic 8-4 UCL win, led them to a crucial draw against Real Madrid weeks later and finished off the season in the same stellar manner by securing them a 3rd place finish in the table with a dominating display and a brace against Bremen. All and all, Reus scored 7 goals with 4 assists in just 17 Bundesliga appearances this season, never failing to make his mark. He also added a highly respectable 4 goals in 4 UEFA Champions League games and 2 goals in 3 DFB Pokal matches as the Black and Yellows lifted the trophy. Marco Reus really is one of the most talented and lethal footballers on this planet and hopefully next year and two years later, he can be fit enough to participate in the world’s biggest tournaments and prove it to everyone once and for all. Germany do seem to be one of those teams that always seem to suffer horrible injuries at the worst possible time. So with that in mind and the frailty of players like Reus, Gotze and Gundogan, here are a few players who could be set to fill the void if necessary. Euro U-21 beast Jonathan Tah will look for a breakthrough as he attempts to get into the Germany starting 11 while Matthias Ginter will be hoping a recent move from Dortmund to Monchengladbach enhances his fate for the full national squad. Niklas Sule will miss out after three years with Bayern Munich receiving very little playing time. A slowly declining Mesut Ozil might miss out on making the squad while a 27-year old Kerem Demirbay might just miss out despite having more experience. A then 21-year old Kai Havertz could also be a good option after bursting onto the scene this past season at the age of 17. Serge Gnabry is likely to improve massively in the next couple of years but may find it hard to knock other wingers like Reus, Brandt, Draxler and Sane out of the side. Andre Schurrle meanwhile faces the same problem and will need a good run of form for Dortmund in the next couple of years to re-establish himself as the player we once expected him to be. So there it is, The Mastermind’s prediction for Germany’s Euro 2020 squad after the nation’s win at the Confederations Cup and UEFA U-21 tournament. The future certainly looks bright for Deutschland and it’ll be extremely interesting to see what happens for the nation in the future and if they can pull off another big win. This article was written in 2017 and as a result may not reflect the author’s current opinions on who might make Germany’s Euro 2020 squad.